Temps de Flors, Girona 2017. Sara Cabarrocas. Spring has arrived and if there is one thing we associate with the season of renewal it is flowers. And if spring is the time of flowers, then look no further than Girona’s annual spring festival, Temps de flors. 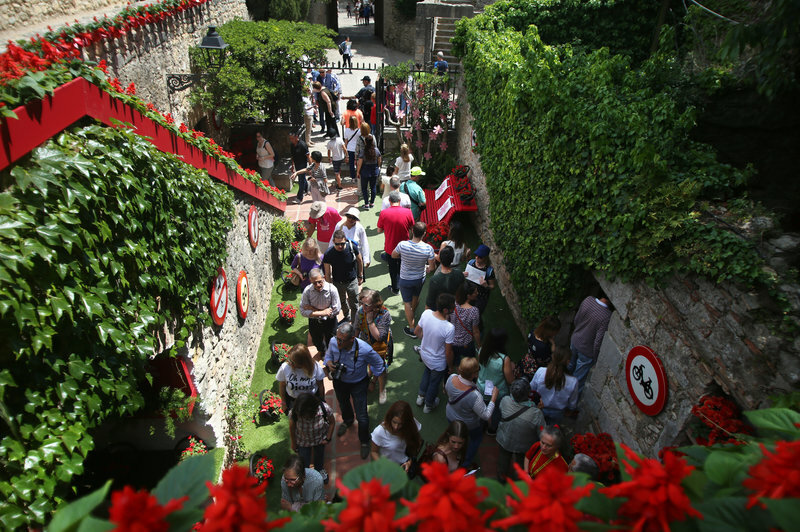 The week-long festival, which this year is held between May 12 and 20, will see the city decked out once more in flowers, as streets, patios, courtyards, stairways and monuments all over the centre are decorated in spectacular and original floral arrangements. Yet, the Temps de Flors festival is not just about making the city streets look pretty. It is also features a series of cultural activities, including concerts, exhibitions, traditional dancing, competitions and gastronomy events, all open to the public and all aimed at showing off the city’s charms at this special time of year. One of the most popular events on the city’s -and Catalonia’s- cultural calendar, this year’s Temps de flors festival is the 63rd edition and is expected to attract over 200,000 visitors, from both home and abroad. In fact the figures for the festival say it all. Last year, for example, there were 195 floral projects spread out in 156 different spaces around the city, while local hotels reported occupancy rates of almost 90%. This year, those numbers are expected to be even higher!